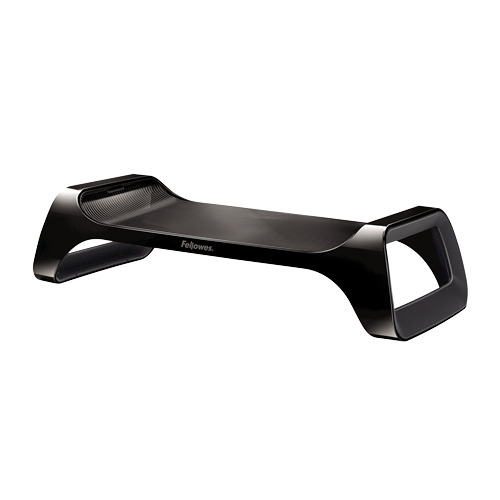 Help reduce neck strain and shoulder tension when working at home on your computer with the Fellowes I-Spire Series™ Monitor Lift. This innovative monitor riser elevates your monitor 3-3/8 inches above your desktop for enhanced viewing comfort. 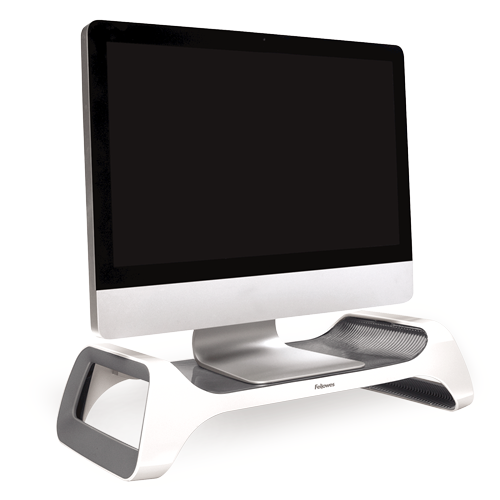 The Fellowes I-Spire Series™ Monitor Lift supports monitors up to 25 pounds. With the I-Spire Series™ Monitor Lift you can position your monitor at eye level so you can comfortably view your screen. By simply elevating the monitor you can avoid excessive strain on your neck and shoulders caused by leaning down or forward to see your screen. The Monitor Lift is easy to use. It features a platform top wide enough to accommodate most monitor stands along with curved sides and two stable feet to keep the monitor in place. Setup is a snap and requires no tools. As part of the I-Spire Series™ collection, the Monitor Lift makes it easy to create a stylish and more comfortable work space at home. Its innovative design and contemporary style enhances comfort and coordinates with other Fellowes® I-Spire Series™ products.